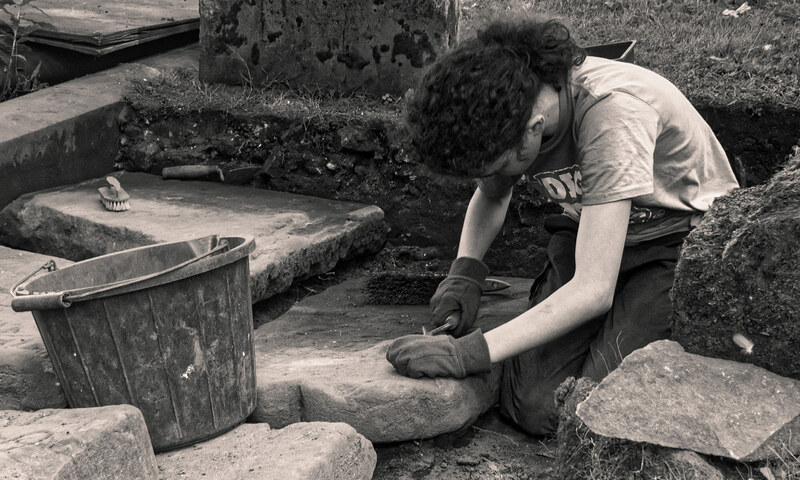 For the last three years a group of Dunfermline Heritage Community Projects (DHCP) members have been digging in the Abbey Church graveyard for lost gravestones. Each season the group chooses a small area to probe carefully for stones lost beneath the grass. Once likely stones have been located, they excavate and uncover stones that haven’t seen the light of day for centuries. In this way the group learns more about the history of the town and the people who once lived and died in Dunfermline. This year DHCP has offered YAC a plot to excavate. Seven stones have already been uncovered this year, along with a host of stray finds that range from animal bone to an antique jam spoon. 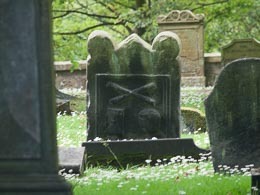 So, if you are aged between 8 and 16, and fancy trying your hand at some graveyard archaeology drop us an email at contact@dunfermline-yac.org. We have places for up to six young people for each session. If you think you might be interested in joining Dunfermline YAC, even if you can’t make the dig, then just send an email anyway! On the weekend of 18th-19th July Abbot House hosted a range of archaeological activities for the young folk of Dunfermline. We excavated and recorded medieval cattle bones, learned how to read a human skeleton, wrote like the medieval monks of Dunfermline Abbey and explored the Bronze Age past of Dunfermline. Fun was had by all and by the end of the weekend YAC Dunfermline had its first 8 members.